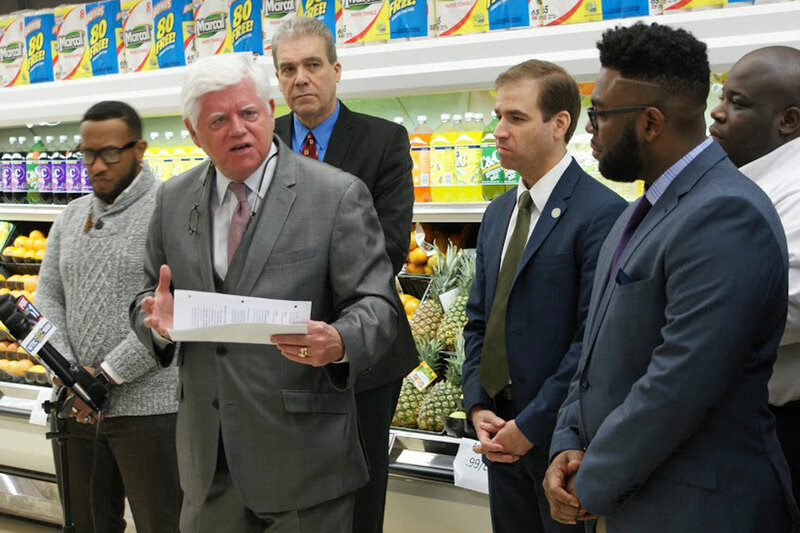 This week I joined Congressman John Larson at Associated Supermarkets in Hartford as he announced the Promise Zone Job Creation Act. This bill would provide tax credits to businesses who hire residents of Promise Zones, which are federally-designated geographic areas in need of economic revitalization. It would also encourage new investments to bring property, equipment, or software to these hard-hit communities. This bill would provide an economic boost to a Promise Zone close to home - Hartford's North End. I have previously championed legislation to bring greater state assistance to the businesses of the North End, and I applaud Congressman Larson's efforts to enact federal legislation aiding Promise Zones.